If you loved Sellah’s RNB Night, then you’re going to LOVE this! Both platforms created by Siya (The Threaded Man) and Sellah (IMMO Magazine) express Individualism, Creativity, Fashion, Arts, Culture, Social Awareness, Equality. What better way to bring this expression to life, than together at The 41. 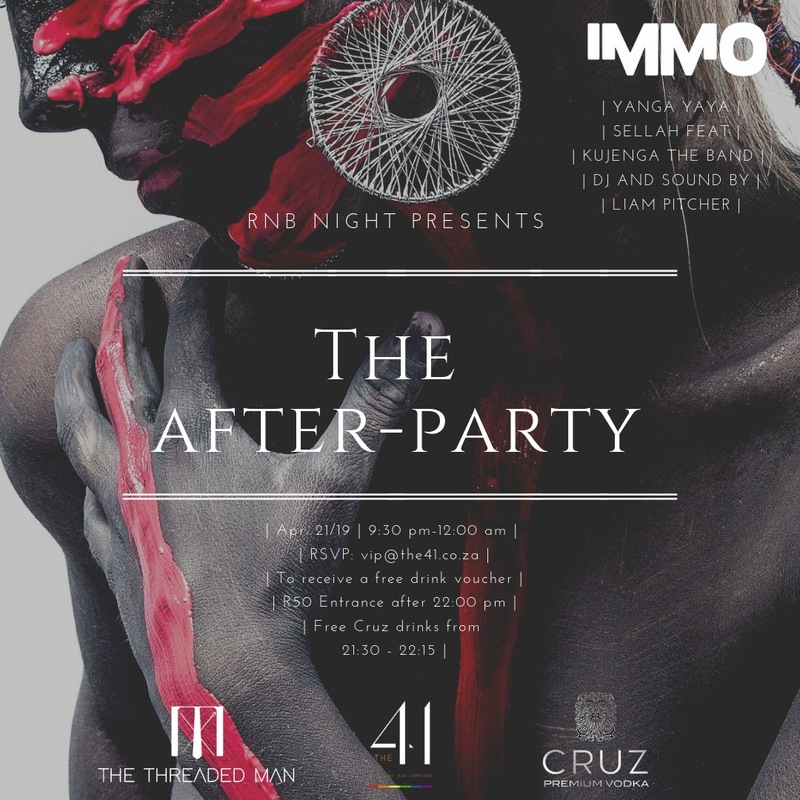 At “The After Party” you will enjoy live performances from Yanga Yaya and Sellah feat Kujenga the band, dance the night away with DJ and Sound provided by the talented Liam Pitcher. The After Party is about feeling comfortable and expressing yourself through your clothing. Best dressed will get a prize and free drinks sponsored by Cruz Vodka will be served from 9:30pm until 10:15pm. We will have a red carpet from 9:30pm until 10pm. Yanga Yaya will open up the party at 10pm. Entry is free but after 10pm it will be 50 rand at the door.